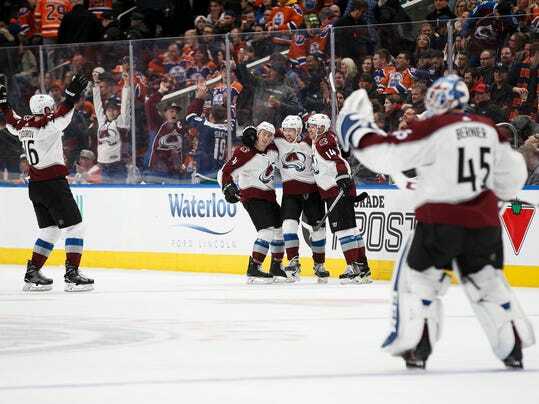 EDMONTON, Alberta (AP) — A late comeback bid by the Oilers didn’t deflate the Colorado Avalanche. J.T Compher scored 2:28 into overtime as the Avalanche snapped a three-game losing skid with a 4-3 victory over the Oilers, who had tied the game with just 27 seconds left in the third to send it to extra time. “I thought we played well most of the game, only to unfortunately lose the lead late in the third,” said Compher, who scored his 10th goal of the season. “I thought we played well enough to finish it off, and for us to get that extra point in overtime at the end is huge for us with the playoff race we are in.